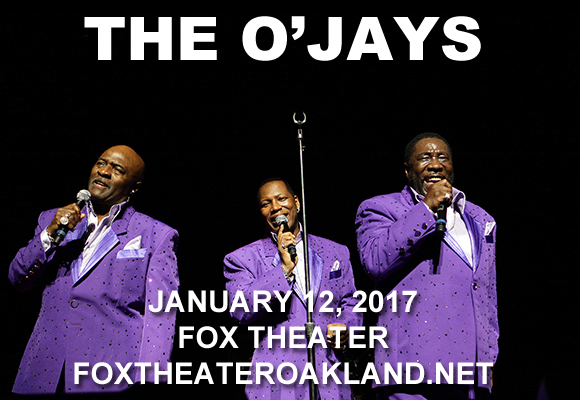 R&B legends The O'Jays will be bringing the smooth and soulful sounds of yesteryear to Fox Theater Oakland on Friday 12th January 2018! These veteran performers have been riding the Love Train for over 60 years, and have been inducted to both the Vocal Group Hall of Fame and The Rock and Roll Hall of Fame! Formed in Canton, Ohio, American R&B group The O'Jays made their first appearance in 1963 with “Lonely Drifter”. Just over a decade later, in 1972, the band were taken on board by a team of producers and songwriters, who signed them to their Philadelphia International label. That same year, The O'Jays reached new heights of fame with the release of their Philadelphia soul hit “Back Stabbers” and in 1973 they topped the Billboard Hot 100 the following year with their signature song, “Love Train”.